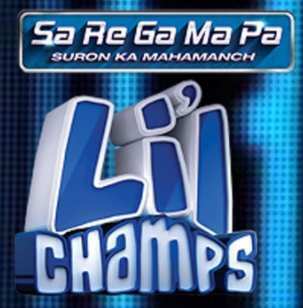 SA RE GA MA PA Lil Champs is a musical reality TV show started in 1995 and since then it has become a platform for youngsters to showcase their singing skills and talent. The show has been hosted by some of the very famous singers from Bollywood such as Sonu Nigam & Shaan. The concept of public voting was introduced in the year 2005 and in the same year, the complete format of the show was changed. This year, SA RE GA MA PA Lil Champs is being hosted by Himesh Reshammiya, Neha Kakkar and Javed Ali. It is the show which has given the Indian Musical Industry talented singers like Shreya Ghoshal, Shekhar Ravjiani, Kunal Ganjawala, and Raja Hassan. Zee TV Sa Re Ga Ma Pa Lil Champs Audition 2017 will be held in Kolkata, Delhi, & Mumbai. Step 1. Shoot your singing video. Step 2. Fill the application form. Step 3. Upload it in the application form by clicking an option. Now Submit the application form. The Registration for the saregamapa auditions is free.